Wait, you aren’t even sure you want to be using Twitter, you say. What if you consider it another way to learn, stay current, and meet new people? We could call it following smart people. 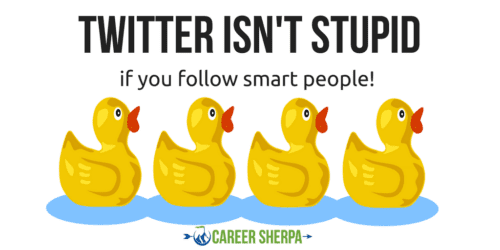 Finding smart people to follow on Twitter does take some time on your part. But so does networking. Can you just allocate 10 minutes a day to build your network on Twitter? 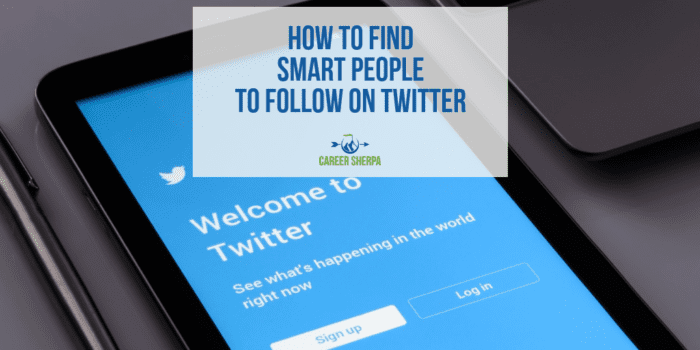 I have used a two-step process to follow people, which makes it easier to view tweets. I follow the person and then add them to a list (kind of like giving them a tag or category). To learn more about creating lists, here is a link to Twitter’s official instructions. Or, sometimes their profile info will give you a clue about what list to add them to. In some cases, I wasn’t sure where to list the people I followed. So I didn’t add them to a list. That’s ok too. 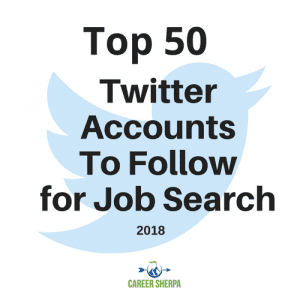 If any of these lists sounds interesting, you can follow my list (by clicking on the list and selecting follow) and reap the benefit of my list-building without needing to find and follow your own. Assess what industries are of interest to you and your future so you have a focus. # (whatever is of interest). A hashtag is a way of sorting/filtering. For example, search using the #job and you can find all the Tweets that contain the hashtag and the word job. Watch or join in on Twitter Chats focused on your industry. (Here is an ongoing list of Twitter Chats and their information) and follow some of the cool people participating in the chat. If you wanted to find the SMARTEST PEOPLE TO FOLLOW, here are the people I would recommend. They are using Twitter to communicate in different ways, are the best of the best at what they do, and I enjoy and look forward to seeing their tweets! I’ll have to confess, creating this list was difficult. I know I haven’t included everyone. I’ve tried to select a cross section of people. Undoubtedly, I have omitted some key folks. I surely AM following them, they just didn’t make the list! Please, no hurt feelings! I love this tool and have made some great friends through Twitter!